Self-Funded Health - Boland Insurance Agency, Inc.
Overview Self-funded health is a unique animal in the insurance industry that requires a certain amount of expertise. We at Boland Insurance have been dealing with self-funded health clients and their needs since 1985. Over the years we have dealt with several third party administrators (TPA’s) and have found (in our opinion) the best possible service through Cypress Benefits of Appleton Wisconsin. We work exclusively with Cypress and invite you to read why we have chosen them in the topics listed below. As hard as it is to imagine, when you call Cypress a real live person will answer the phone. To top that they will even get you directly to YOUR claims analyst so they can help you immediately with your question. Does your Company do that? Cancer is one of the top 3 medical claims categories, with 1.4 million new cancer cases a year at an average cost of $90,000 per year it is important to be sure those cases are being managed properly. Cypress clients have the piece of mind knowing they have partnered with ITA, the nations only independent cancer risk management company. ITA develops and implements proprietary strategies that lower claim costs and improve members’ experience during the continuum of care. Cypress and ITA provides clients an average 20% savings over vs. pre-ITA cancer costs. Can your Company do this? Health Payment Systems (HPS) is a method of paying your claims rapidly so that you can enjoy even deeper discounts on your claims. If you’d like we can even run a report that would show you exactly how much you could have saved last year. Just give me a call and I’ll email you the parameters for the report. Can your Company do this? Let’s take the example that your Company is doing well and you have a few select people scattered about the United States. While our PPO here in this area is great it doesn’t do much for your employees in Boise and Phoenix. Global Care allows us to research and find the best PPO for your individual employees in other locations. This way we can help save you even more on your claims costs. Can your Company do this? All of the brokers out there shout loudly about the great discounts they are getting you on your plan. Take a look at the discount they offer. Take some time and we will show you just how the discounts work. We even have a monthly report that shows exactly what your discounts truly are. Does your Company do that? With many Companies they reward you for more production. Consider the fact that with one carrier, after about ten large groups, the agent will be making almost double the commission because of his volume. At Cypress the agent makes the same level commission on every group. The agent’s commission never increases due to volume. Then why would an agent be compelled to place business with Cypress? Do service, true savings and first class customer care really matter to your agent? 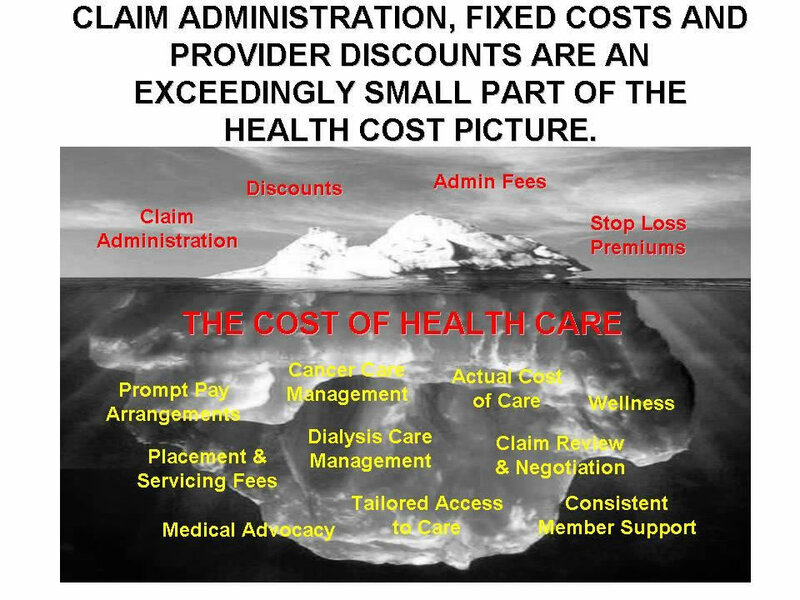 The best way to control health care cost in not to incur any claims in the first place. Thrive, designed exclusively for Cypress clients, brings together the most important components for a successful comprehensive approach to wellness and controlling cost. Thrive uses the combination of biometric testing, disease management, medical advocacy, and incentives to work with the chronically ill to become well plus encourage the healthy to maintain their level of wellness. Can your Company do this? The Medical Advocate Program (M.A.P.) is the first resource that works in direct partnership with employees to actively involve them in making health care decisions and guide them to becoming more informed purchasers. It also lowers employer’s costs by assisting with pre-authorization of specialty care and services. This is an optional program that we would love to discuss with you. Can your Company do this? ARGUS claim review is the Industry’s most comprehensive fraud detection and code editing system available. As a routine part of every claim, we use ARGUS to root out any possible fraud or error on billings. Imagine paying a bill to a Doctor that is deceased? It happens in fact the US Dept. of Health estimates over $250 Billion of medical waste annually. We won’t save you that much, but we will catch the errors. Can your Company do this?